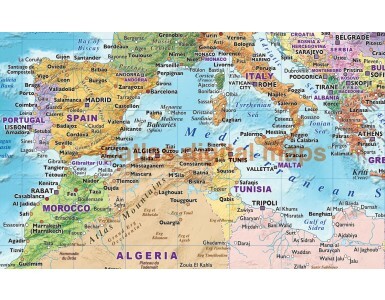 World Wall Map Political colour relief and Blue Ocean Vinyl 60" x 38"
A unique and exclusive eye-catching, fine quality vinyl map - another customer favourite! 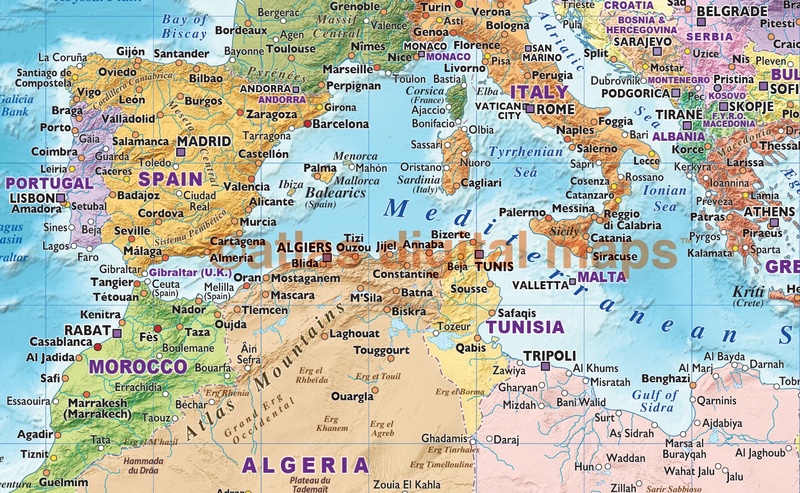 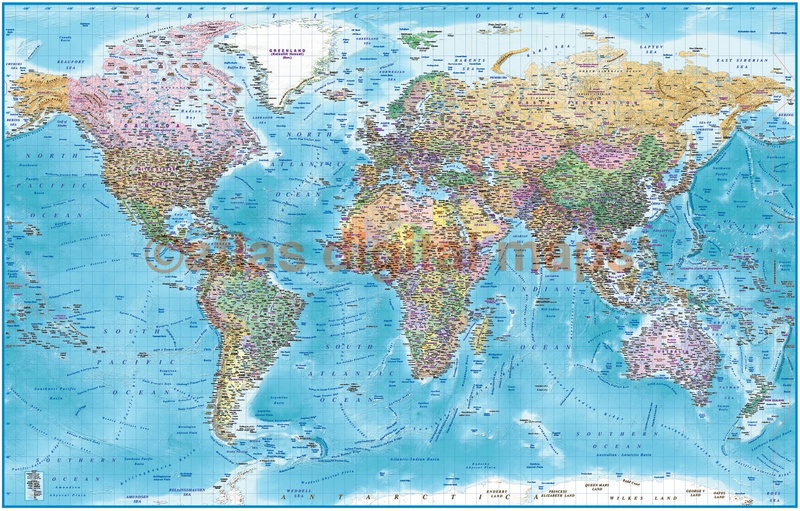 Our original world map in standard colours is a talented & skilled creative work of art using stylised type. 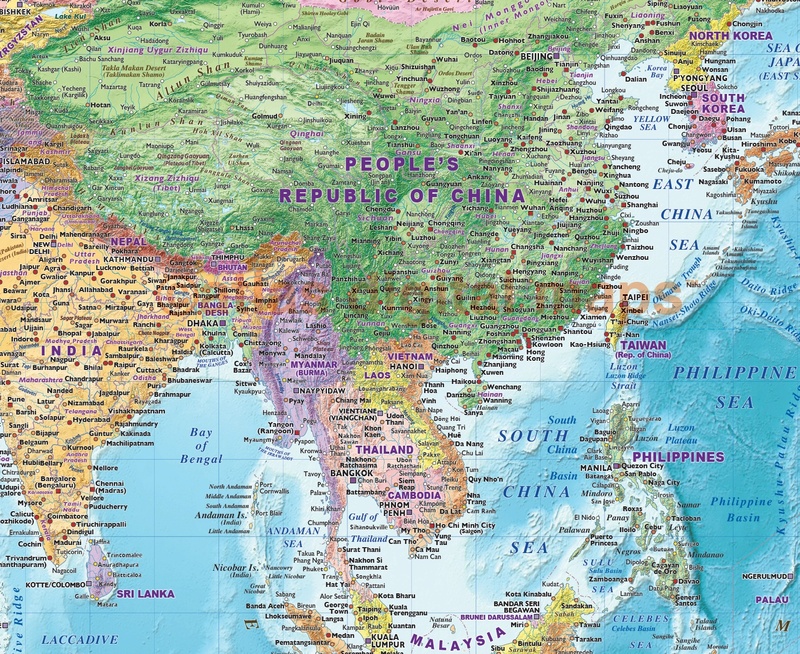 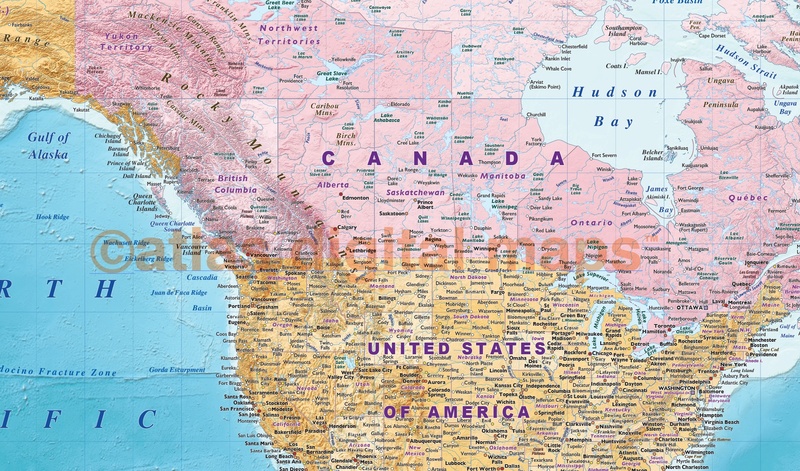 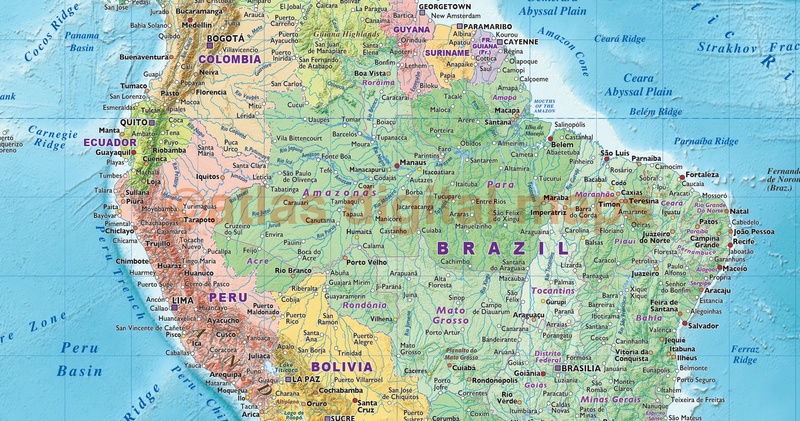 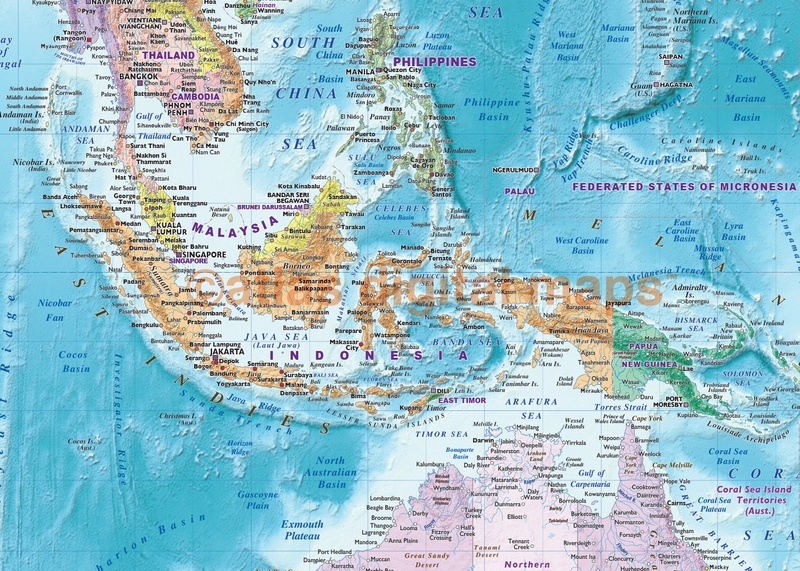 Up-to-date cartographic detail includes country names & boundaries, capital cities & major settlements - coloured by population with population size key, internal region borders and names (of the United States, Canada, Brazil, Russia, India, China and Australia), physical land feature names, sea names, island names, rivers & lakes. 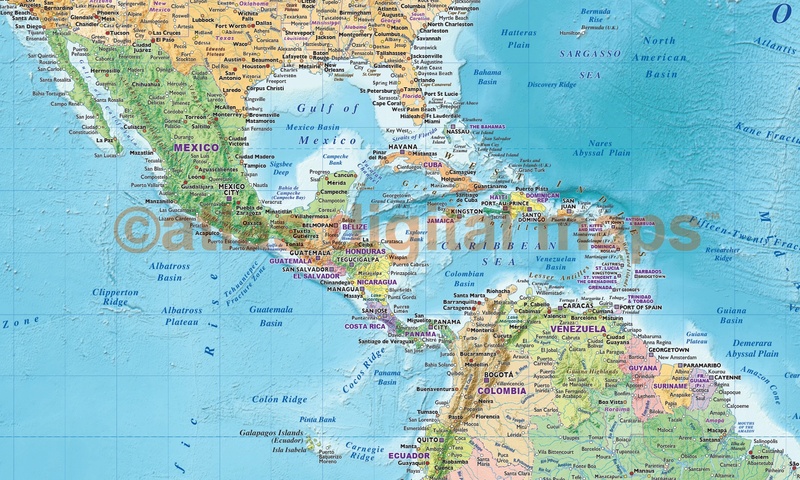 An excellent reference map with great style & typography plus stunning neutral land and stone coloured ocean floor relief.